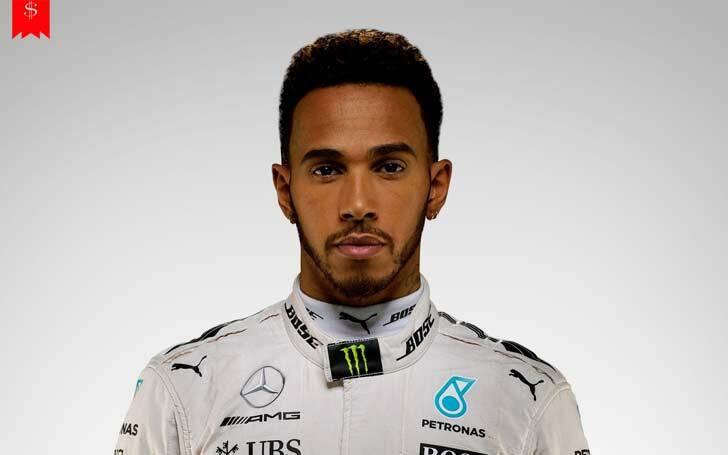 Lewis Hamilton is a British F1 driver and is the most successful British F1 driver who has four world title under his belt. Argued to be the best driver of his generation, his name is bound to go in the history of racing as one of the greatest. Today Hamilton Stands tall as the hope of the British racers and is one of the successful racing drivers. Let us go into detail regarding the racing driver's career and net worth. Hamilton had the talent and knack for racing in his blood from a young age. At the age of 8, he began karting and quickly began winning races and Cadet class championships. Hamilton is of a mixed race and was bullied growing up due to the color of his skin. On the matter, Hamilton remembers an incident. In 1994 at the age of 9, he approached Ron Dennis the team boss of McLaren F1 team and told him. Hi. I'm Lewis Hamilton. I won the British Championship and one day I want to be racing your cars." to which Dennis replied in Hamilton's autograph book, "Phone me in nine years, we'll sort something out then." Hamilton got to achieve his dream of driving for the McLaren team as he got to race as a member of McLaren F1 team and won his first world title with the team in 2008. After a few more years with McLaren and no more new world titles, Hamilton made the move to Mercedes. Hamilton won a back-to-back world title in 2014 and 2015. He won his fourth title in 2017 overtaking Sir Jackie Stewart's haul of three world titles and became the most successful British F1 driver in the history. With the addition of a new title, he has joined the league of Juan Manuel Fangio, Michael Schumacher, Alain Prost and Sebastian Vettel as drivers with four or more World Championship titles. In his career time, he has achieved more than the most racing driver would. He holds the record of most victories than any other British driver in formula one with 62 wins, all-time most career points with 2610, most wins at different circuits with 24 wins, the all-time pole position with 72 and the most Grand Slams in a season with 3 wins. With all the money that Hamilton owns, he has invested in some of the luxuries that are present out there. He owns a mansion in London with six bedrooms across four floors and an impressive summer house which was worth £18 million during the time of purchase. Being an F1 driver, he owns some fast cars outside of his profession as well. He has some of the expensive cars available over time. Some of the cars that he owns are Ford Mustang Shelby GT500, SLS black series, Shelby 427 Cobra, McLaren P1, and LaFerrari. His luxurious lifestyle also includes him befriending big celebrities of Hollywood. He is good friends with artists such as Pharell Williams, Rihanna, Rita Ora and Drake while he is good friends with model Gigi Hadid and Kendall Jenner. How Much is the 4 Time Title Holder's Net Worth? Hamilton, the 4 Times World Champion of F1 racing, has the net worth of £131 million. Being the face of F1 racing, he has endorsement deals with various companies like Monster Energy, IWC, L'Oreal, Bose, Puma, MV Augusta Motorcycle and Bombardier Recreational products. Aside from these, £35 million worth of earnings is an outcome of his prize money and endorsement combined. He is reported to be on a £100 million three-year deal with Mercedes which will run until the end of 2018. He is one of the successful athletes in the world today and his success does not show to stop anytime soon.